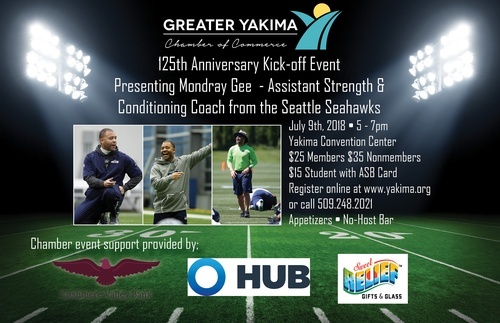 We’re kicking off the Greater Yakima Chamber’s 125th Anniversary celebration with an after-work reception featuring key note speaker Mondray Gee the inspirational strength and conditioning coach for the Seattle Seahawks! Mondray will share with us how to be our own best, his message is about teamwork, passion, commitment and fun! This is an all ages event that will inspire your youth athlete or student as well. Also at the event get your picture taken with the Seahawks Superbowl trophy and rings for a $10 donation to the Yakima Chamber Foundation to support leadership and educational programs in the Yakima Valley! We are looking for the first ten, twenty, or fifty - $500.00 Sponsorships! 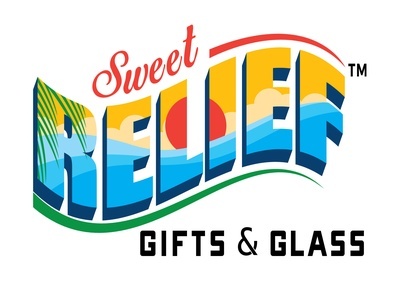 You will receive a preferred seating table with signage, an event banner ad, placement of your business materials on the registration table, and your logo in a thank you ad in the Action Report. Do not miss this one, or the opportunity for you to support your Chamber programs and hear Seattle Seahawks Mondray Gee. Reserve your team today with your Sponsorship (including a table of eight) or you may purchase individual tickets.